When you think of outdoor lighting in Huntsville, what comes to mind? 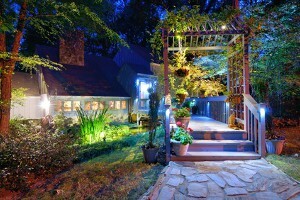 Probably a stunning home with landscaping spotlighted so that it gets noticed even at night. While this is completely true, the fact is that there is a great deal more involved with the importance and benefits of exterior lighting. And many homeowners neglect to get it or consider it a back burner project. That is until they hear more about the importance and benefits of this lighting – aside from just looking stunning. 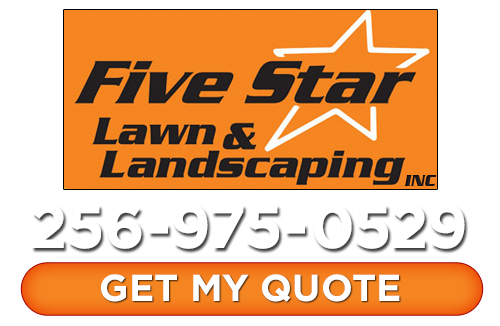 Of course it is key that you work with a trained and experienced Huntsville landscaper for this type of work. Otherwise the effect you wanted may not happen anyway. So let’s consider that stunning good looks is your number one reason for wanting to add Huntsville outdoor lighting to your home. Nothing wrong with that. But shouldn’t you also be aware of some of the other important benefits as well? Safety – The outside of your home can be a dangerous place at night. Whether you are bringing in groceries from the car, walking the dog or coming in from an evening swim in the pool, you should have adequate lighting to make the journey. Avoid your loved ones, friends, neighbors and guests from suffering a slip and fall at your home by illuminating the walkways. Security – There are two great deterrents for preventing a break in – an alarm system and outdoor lighting. Criminals seek a place that is dark to either use as an entry point into a home or to vandalize the home. If you keep your house well lit then the potential violator will have to seek out a less visible home to choose. Hide Flaws –Most people realize that lighting is great for highlighting the aspects of your home and landscaping you want noticed, but what about those flaws you want to hide? Correctly placed lighting will take the attention away from the areas outside your home you would rather not bring attention to. If you are ready to move forward with your decision to add exterior lighting to your home then it is time to give the experts here at Five Star Lawn and Landscaping, Inc. a call. We have been the name to trust in since first launching the business in 2008. The bottom line is that we know what it takes to make the most of your outdoor lighting and to make sure the design and installation are carried out with the utmost professionalism. Contact us today and let us light up your Huntsville home and landscaping. If you are looking for a Huntsville outdoor lighting expert then please call 256-975-0529 or complete our online request form.